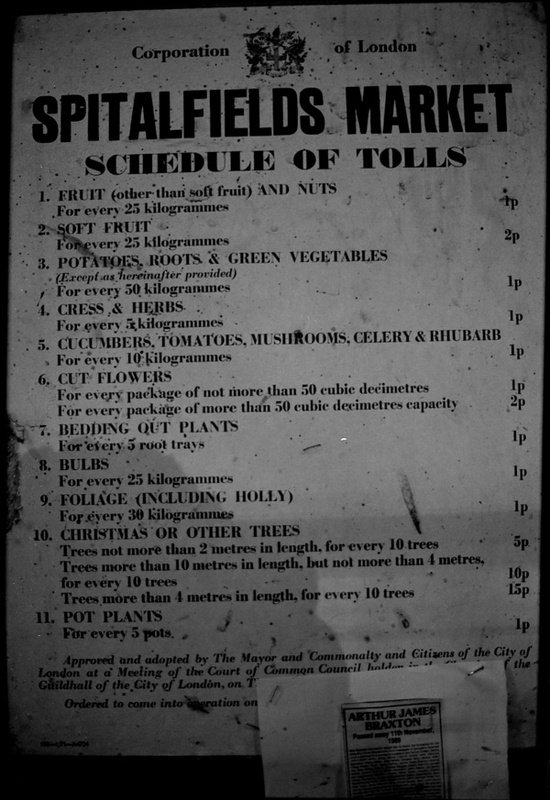 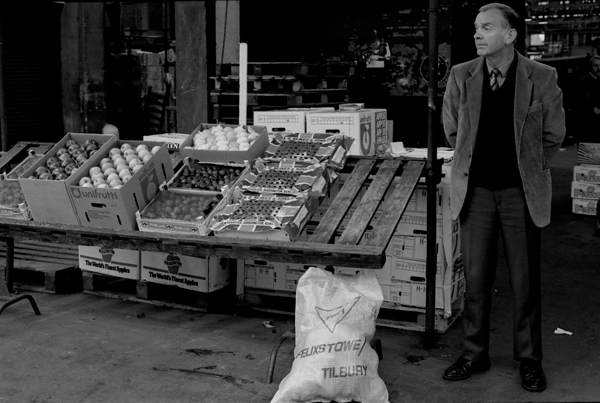 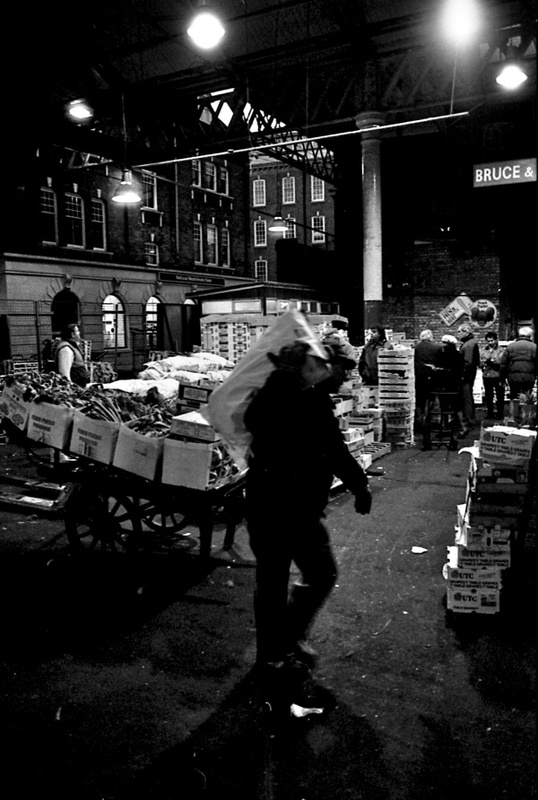 Nowadays the Spitalfields Market shuts at night, but for centuries this was when it opened, as a vast nocturnal wholesale market for fruit and vegetables. 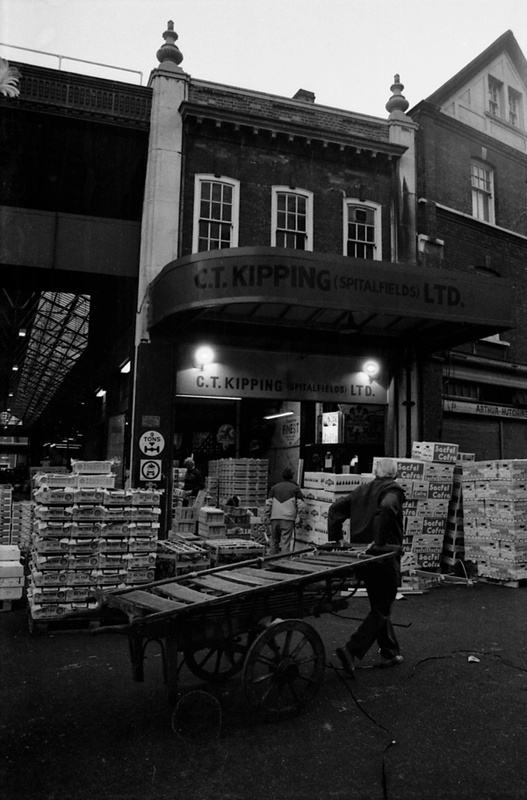 Initiated by charter signed by Charles I in 1638, it existed in Spitalfields until 1991 when it moved to a custom-built market hall in Leytonstone. 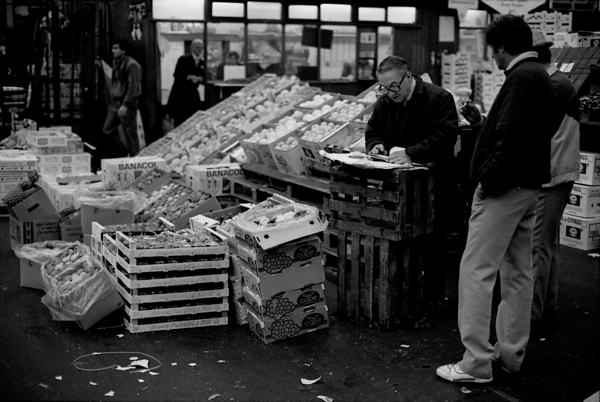 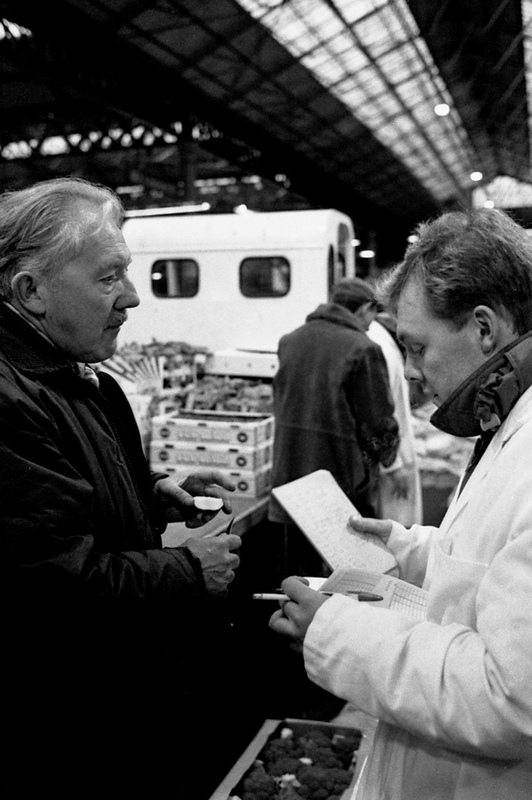 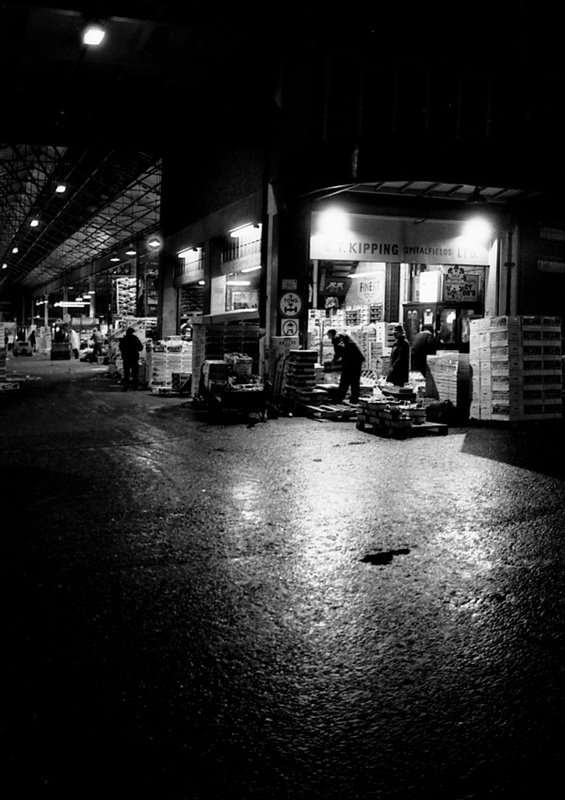 I have already published a few pictures of the market by Mark Jackson & Huw Davies – two poets with cameras who came nightly during the last year and took thousands of photographs – but, returning to their vast canon of work to choose which to include in the Spitalfields Life book, I came across so many more wonderful images which have not been seen before that I could not resist publishing another selection for you today. 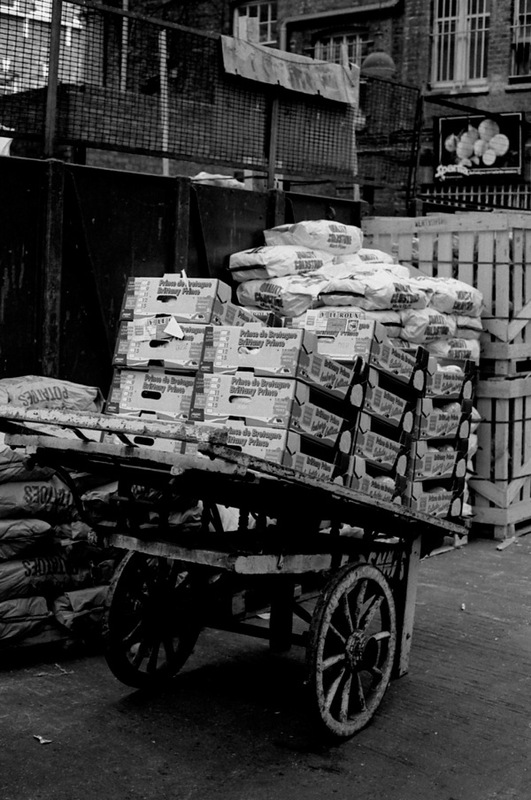 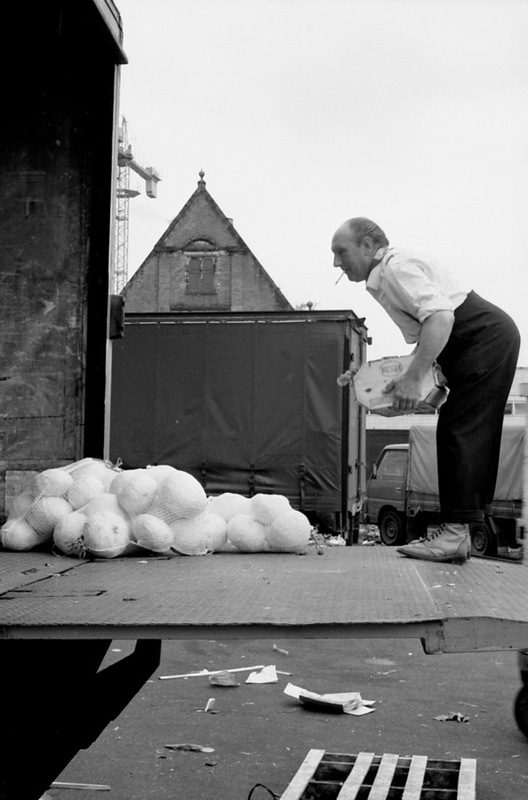 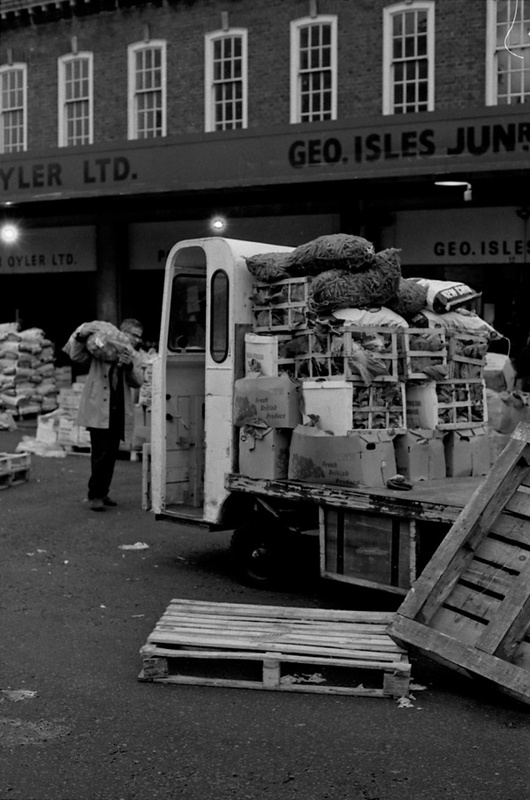 At the new market hall in Leytonstone forklift trucks were introduced, but in Spitalfields human labour dominated when it came to moving produce around whether by barrow, trolley or up on the shoulder. 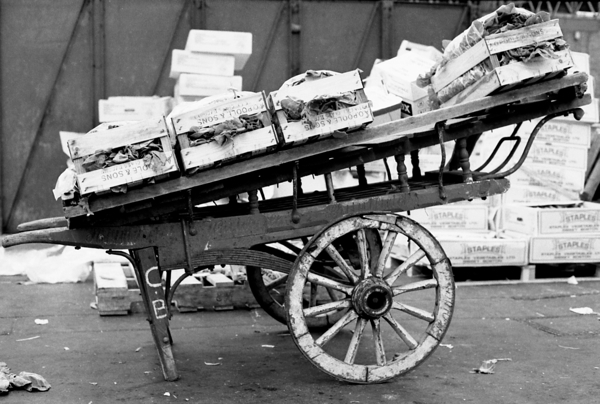 Such an occupation required brawn and physical fitness, attracting many ex-boxers, and the rigours of market life encouraged idiosyncrasy, as everyone fell into their larger-than-life roles over decades. 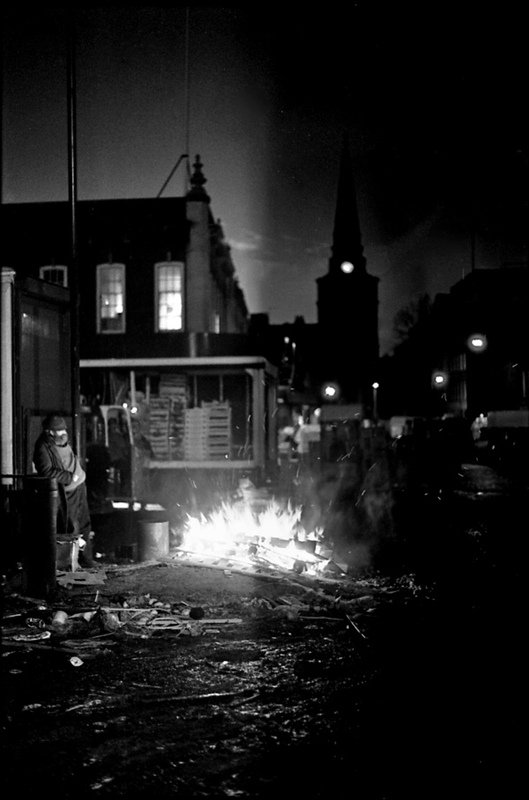 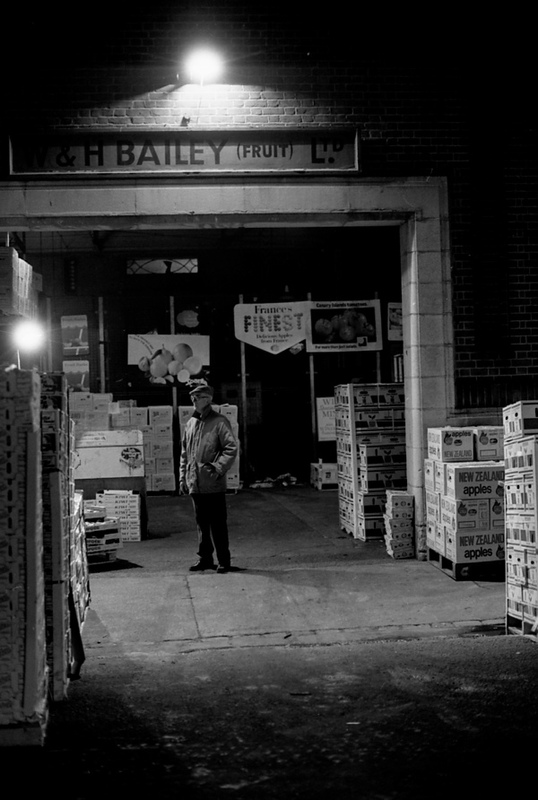 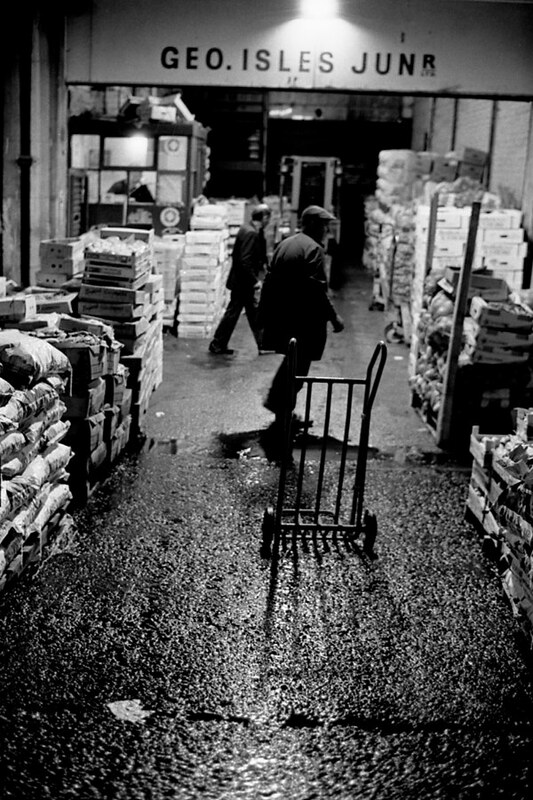 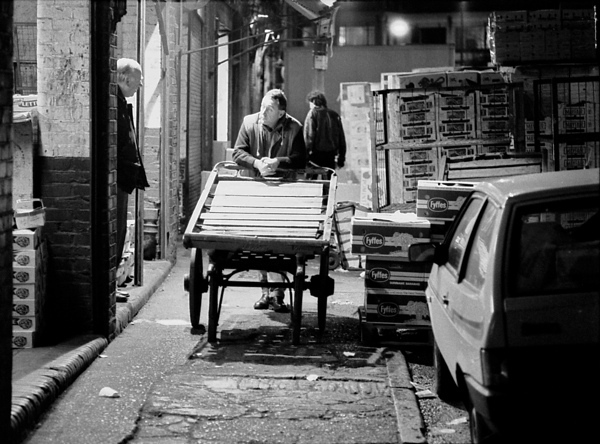 Mark & Huw’s photographs delight in the dramatic chiaroscuro of bonfires, flaring lamps, glistening wet streets, velvet darkness and the coming dawn which impart these photographs an undeniable romance as a unique record of the last days of ancient market. 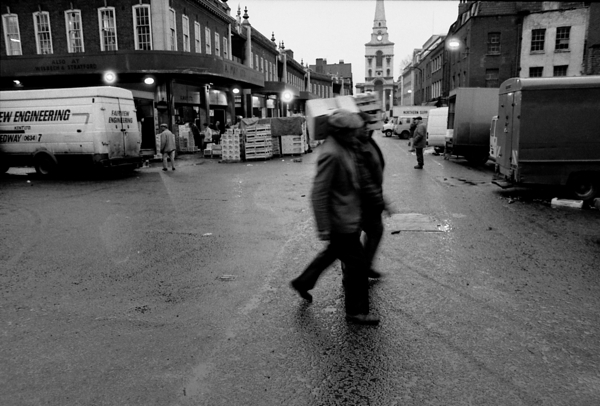 It is my privilege to be able to publish some of these photographs in print for the very first time in the book of Spitalfields Life, and the Bishopsgate Institute, which has digitized the entire collection, will be exhibiting a selection to coincide with publication. 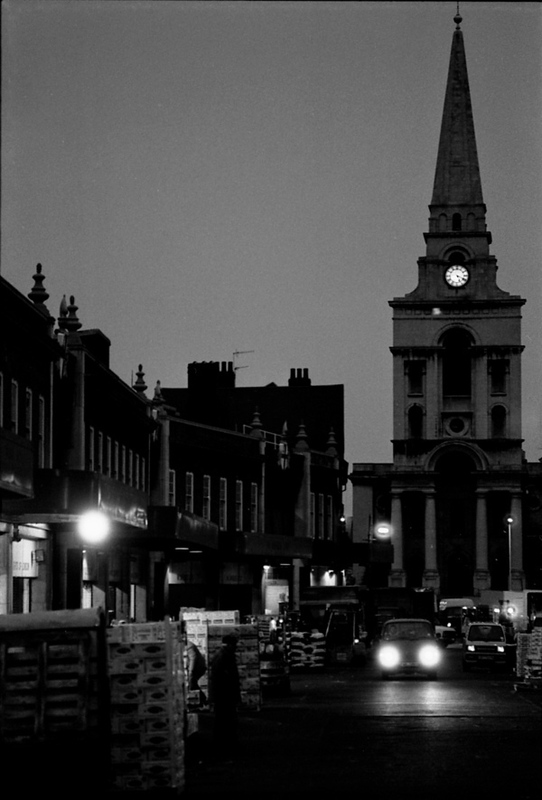 and I always used to cut through there after work to get my nans pension, went to the new one a couple of years ago ,when I took my friend on an east end walk very dissapointed I dont know what I was expecting but all the sparkle as I knew it was gone.such a shame. 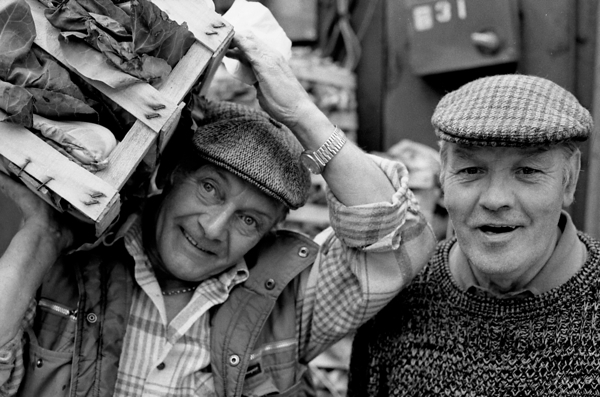 Wonderful collection of photos. 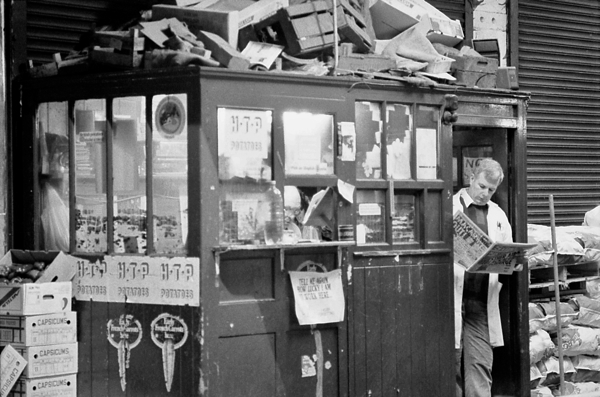 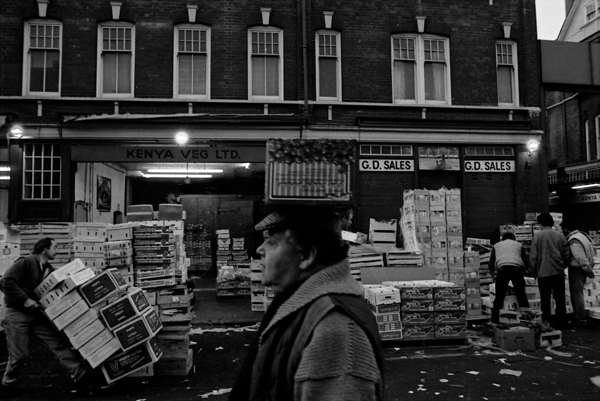 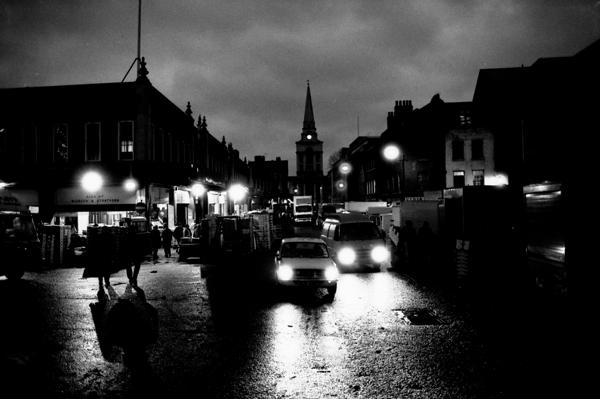 Shame there are not any night time shots of the down and outs to whom Spitalfields market was ‘home’. 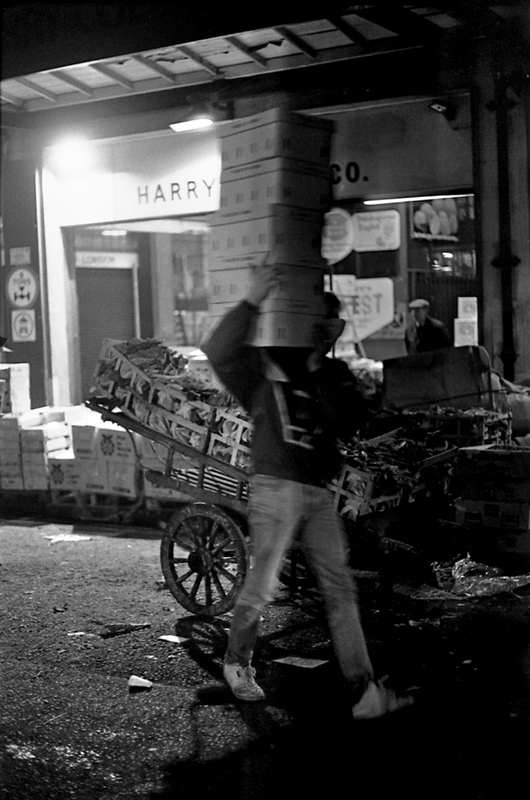 My parents drove up there every night for years in the late 60s – early 70s feeding the men who lived rough there. 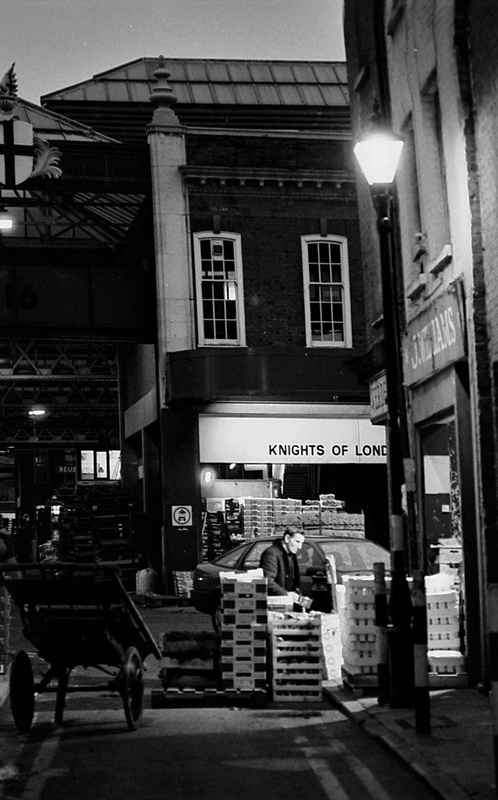 I went with them once when I was about 16. 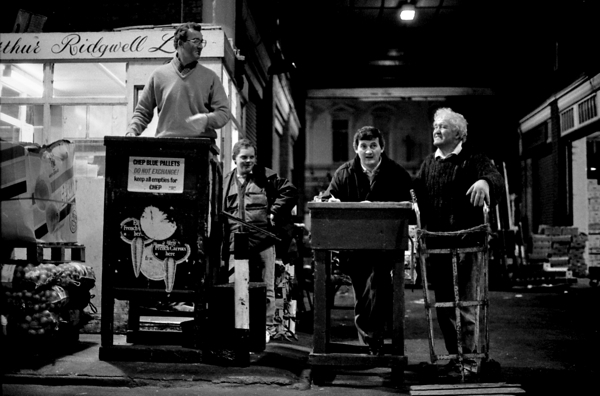 The homeless men were mostly winos but some of them were well educated – professor, teacher, doctor among those who found themselves on the streets because their life had taken a wrong turn. 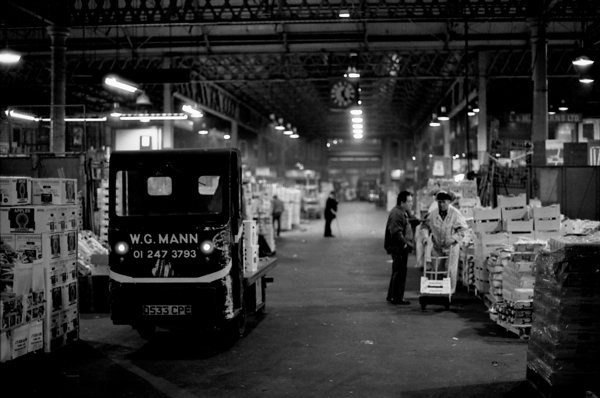 They used to stand around a blazing fire to keep warm before sleeping on the ground under sheets of cardboard.